This bread’s flavour takes me back to my childhood. It’s something that I can’t get tired of eating and that, since I have learned to make my own, is pretty much always available in the house. I make it with rye starter to give it more of a full, round flavour – much the same as a full bodied red wine. I have tried many different recipes and proofing techniques, shapes and baking tricks. I started with the classic round shape but found that the rise was never as it should, the crust quite thick and the shape awkward for sandwiches. 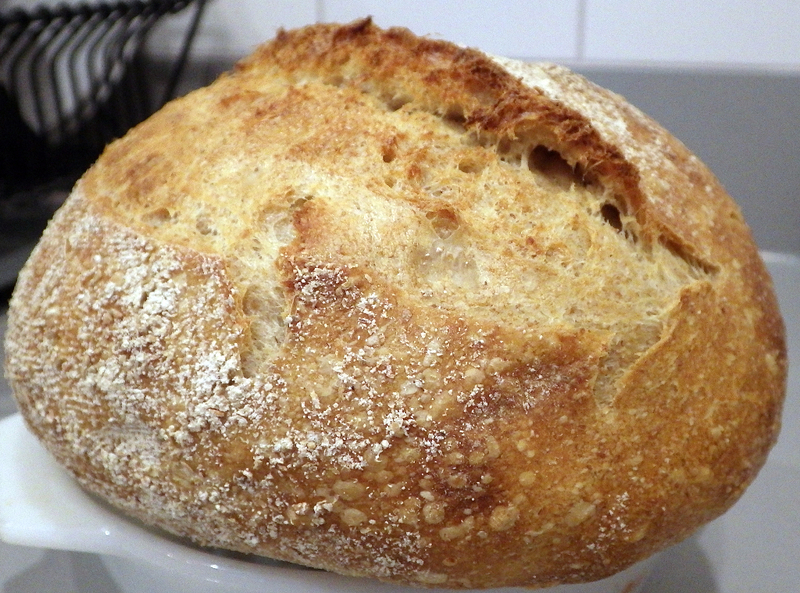 I have read and explored and by trial and error got to a result that I am quite happy with, bearing in mind the limitations of a conventional home oven. 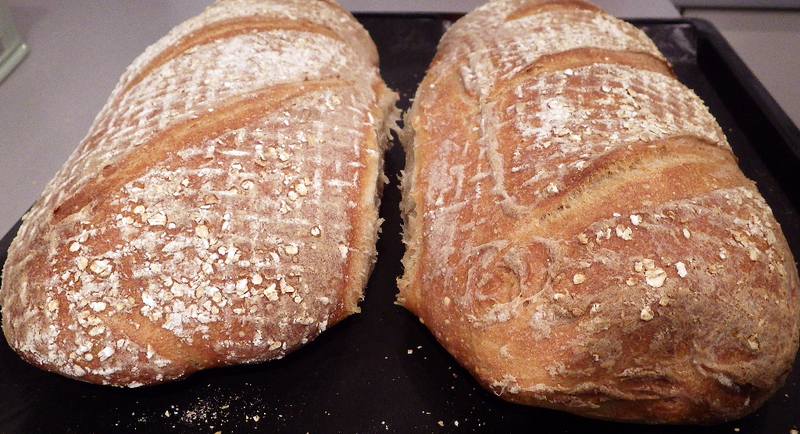 I have learned that baking the bread in a dutch oven achieves a glorious colour, rise, crust and crumb. 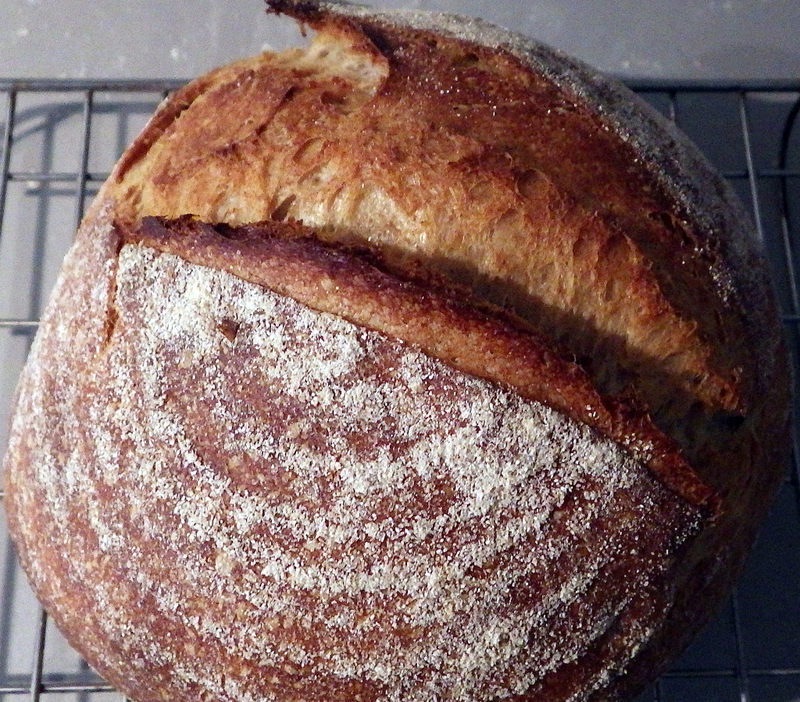 Alas, my dutch oven is quite small and the largest loaf I can get in there is a 750g one. One day as I tried baking two 1000g loafs at the same time I realised that the one underneath the top tray was coming out much similar to the one baked in the dutch oven: better rise, nicer crust. 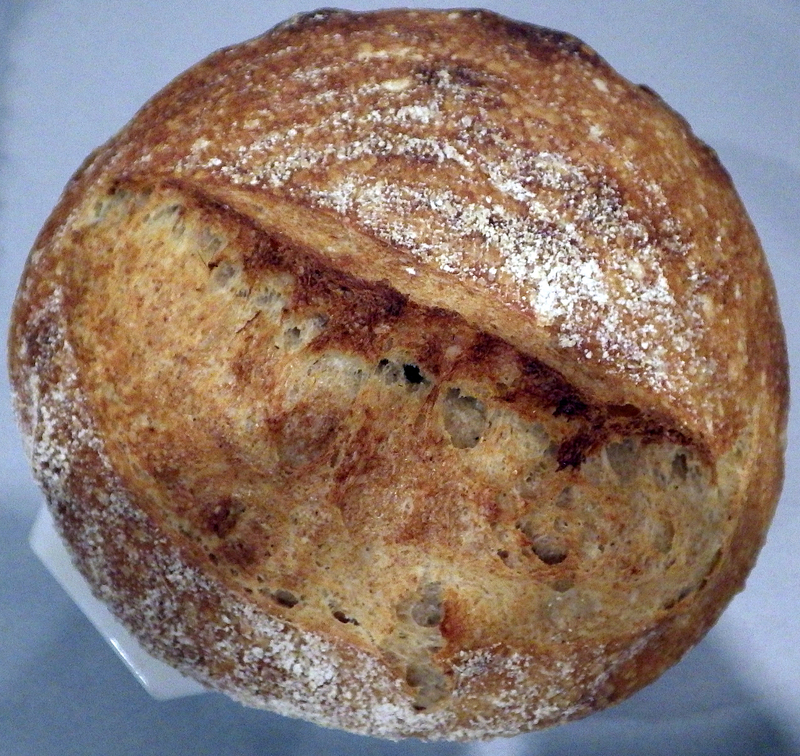 I now only bake my white sourdoughs with a baking sheet on the top shelf to somewhat replicate the effect, allowing the bread to rise fully without too much heat coming at it and solidifying the crust before it has had time to develop. And got the sandwich shape sorted as well!